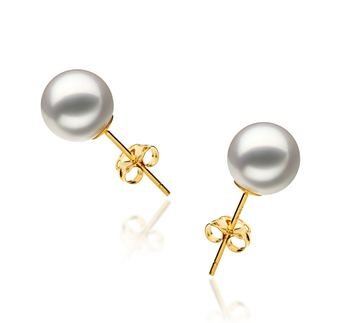 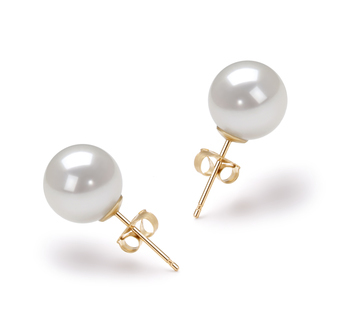 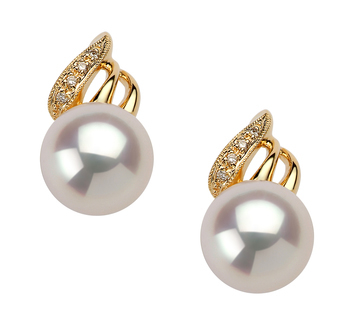 It is best if you think about wearing a smaller pair of white Japanese Akoya earrings during the day, then you can team a pair with much larger pearls for when you go out In the evening. 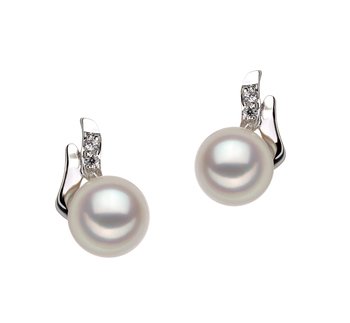 Below we take a look at the kinds of styles that our earrings come in and provide you with some ideas of when they can be worn. 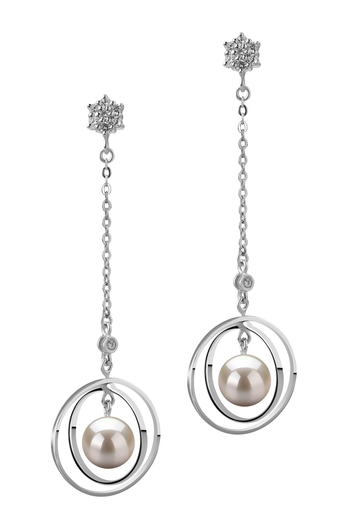 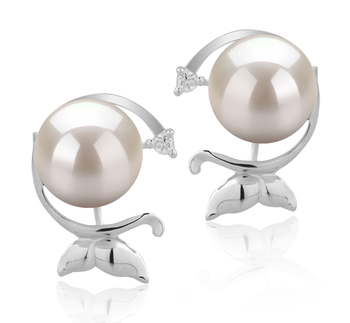 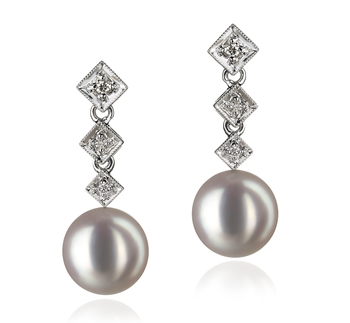 A pair of round white Japanese Akoya earrings will add a touch more elegance and style to a daytime outfit. 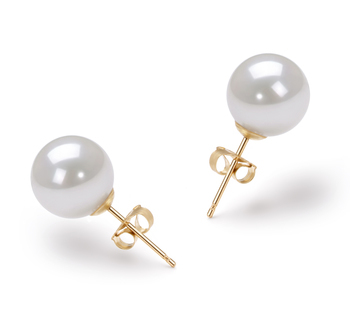 They will also add a hint of refinement should you choose to wear them with semi-formal attire, such as a smart skirt and blouse to work. 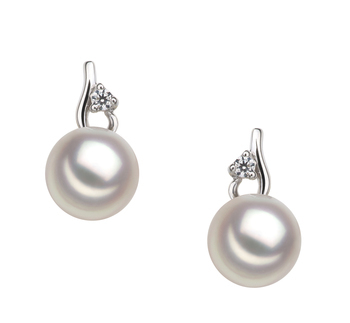 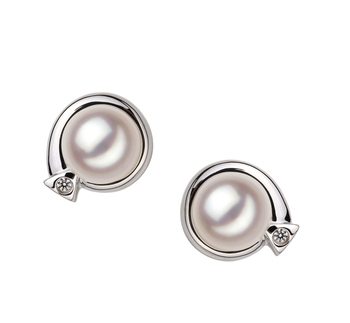 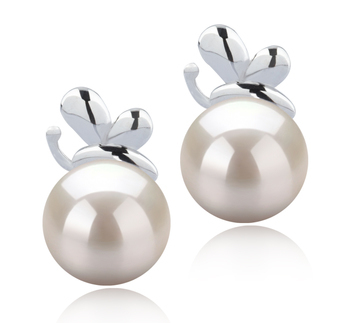 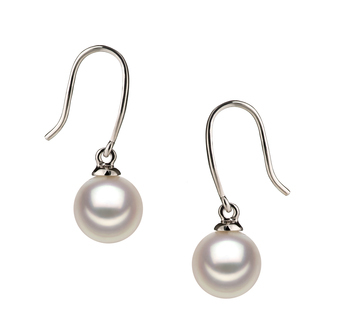 If you like to look fashionable and on trend then a lovely pair of drop Japanese white Akoya pearl earrings is something you should think about getting. 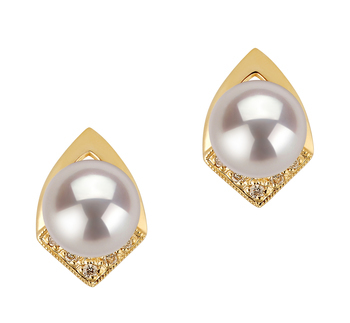 These are very much statement pieces of jewelry and will look stunning when you choose to wear them to an evening event. 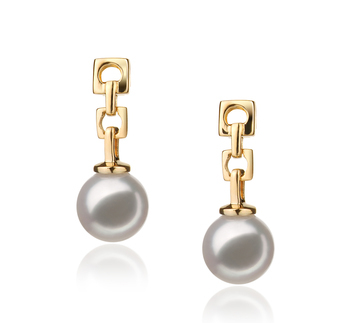 Why not team a pair of our drop earrings that hang from a yellow gold chain with a formal gown. 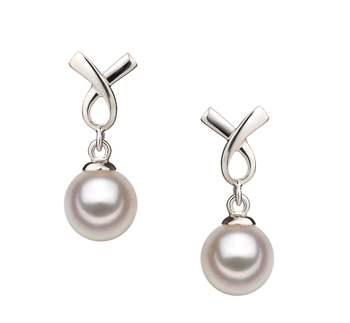 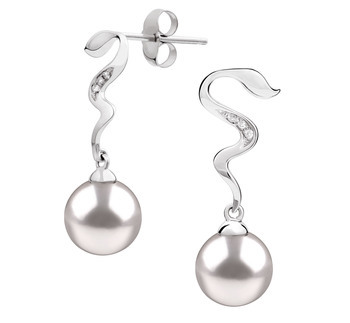 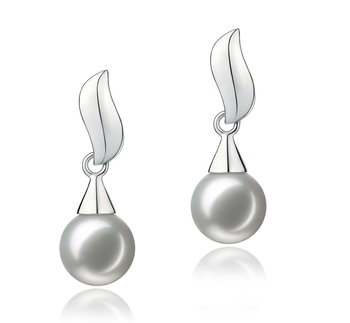 You could also think about pairing a pair of silver drop white Japanese Akoya earrings with a little black dress. 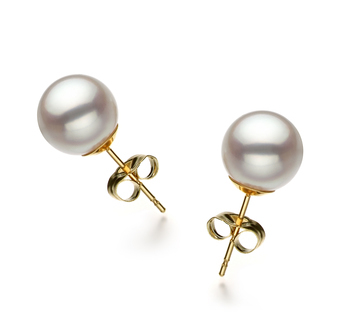 You may even like to wear these with a more casual look, say when you’ve decided to meet some friends for lunch one day. 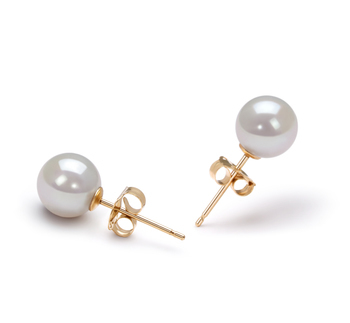 These types of white Japanese Akoya pearl earrings are easy to wear and accessorize with a wide array of different outfits. 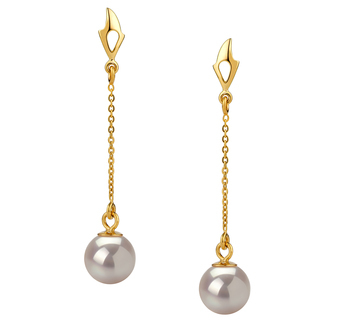 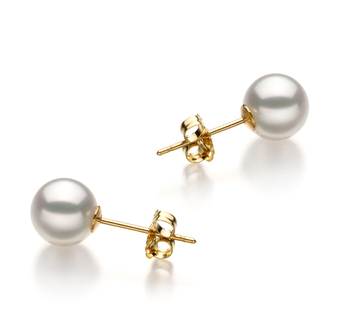 They like all of the white Akoya pearls in this collection have an understated beauty about them. 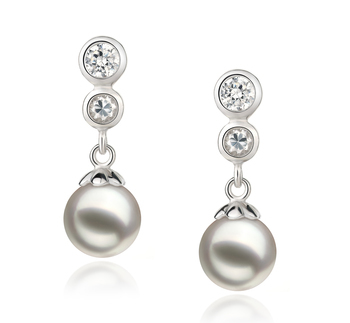 They like the others will help to brighten up any complexion. 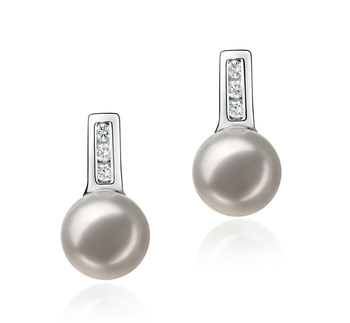 If you prefer to wear jewelry with more cold tones then choose a pair of white Japanese Akoya pearls that are set in sterling silver. 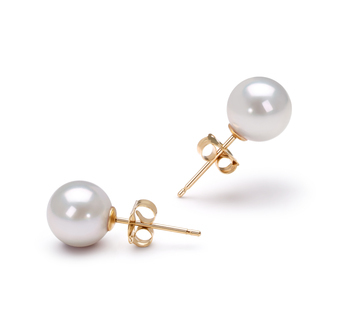 The simplicity of these earrings makes them very versatile and can be worn with a wide array of different outfits to different events. 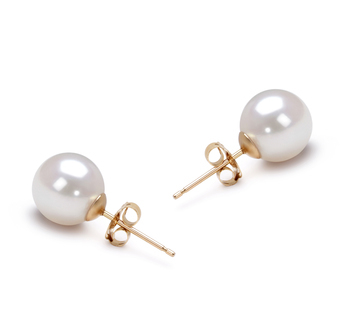 But such earrings best suit women whose complexions have warm undertones to them, as this will ensure that attention isn’t directed away from the pearls. 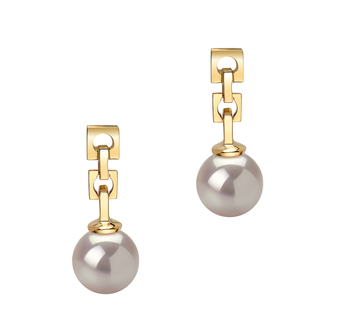 Women who like to wear jewelry that have warmer tones will love wearing a pair of our earrings that have been set in 14k yellow gold. 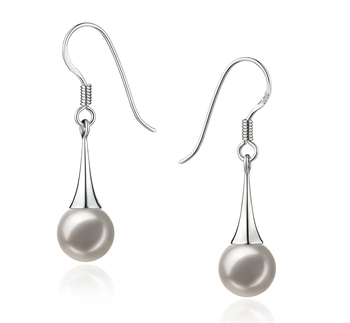 As well as this the metal beautifully complement the pearl they add a hint of warmth to the skin of women whose complexions are made up of cooler undertones. 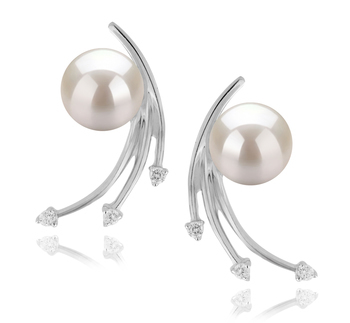 This is the perfect choice when you want a pair of white Japanese Akoya earrings that you will only wear on very special occasions. 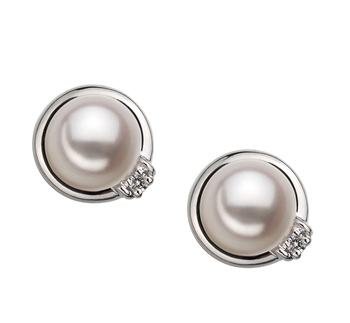 The white looks stunning when set in this color metal. 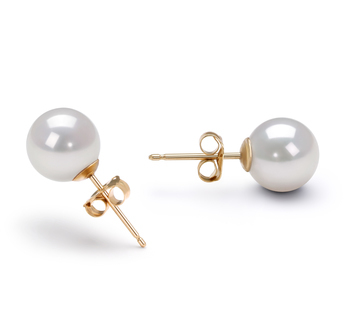 The sophisticated color also ensures that these types of earrings are suitable for wearing not only to business meetings but also to more formal evening events. 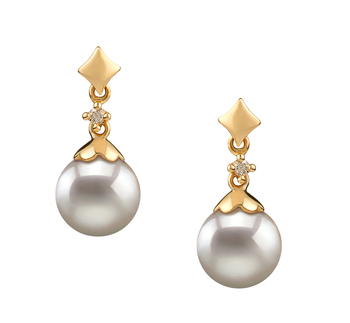 When it comes to buying your first or even your second pair of white Japanese Akoya earrings it is important to keep in mind the information we’ve provided above. 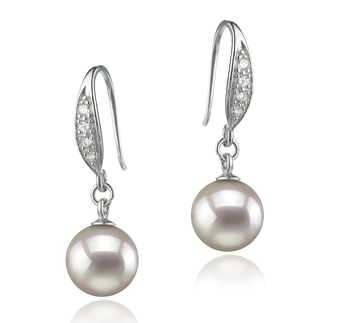 This will help to then ensure that the pair you select is going to be right for the occasion when you want to wear them. 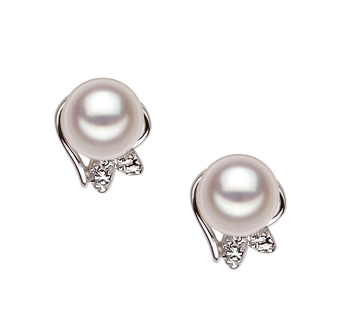 They will also be a style that suits your personality and tastes.